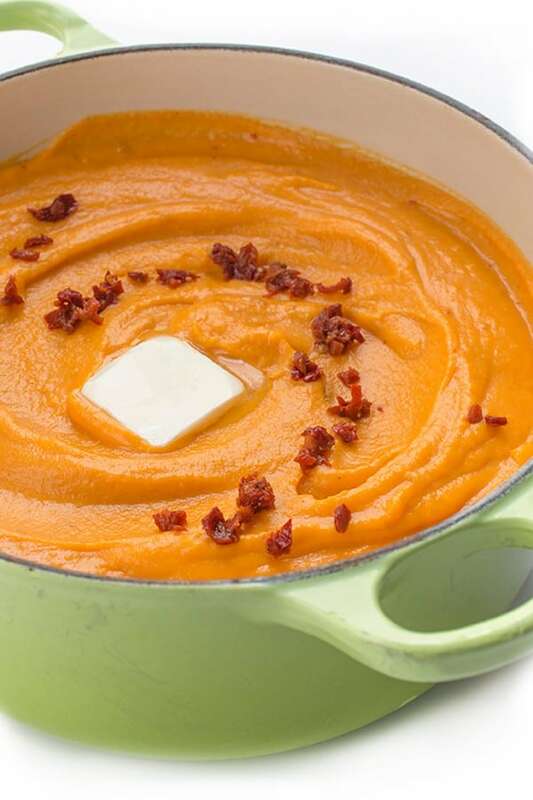 Every spring I find myself looking for new, easy side dish recipes. 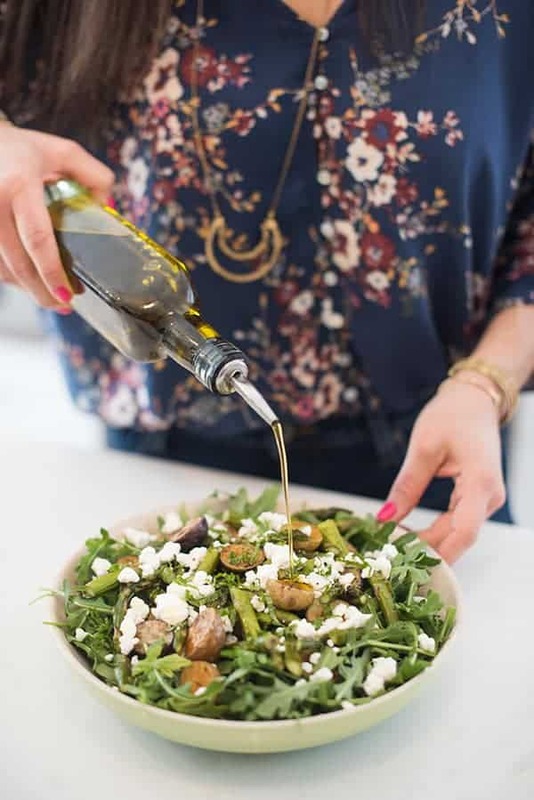 Whether it’s to cook for our Passover Seder or to bring for an Easter dinner side dish, you really can never have too many healthy side dish recipes. 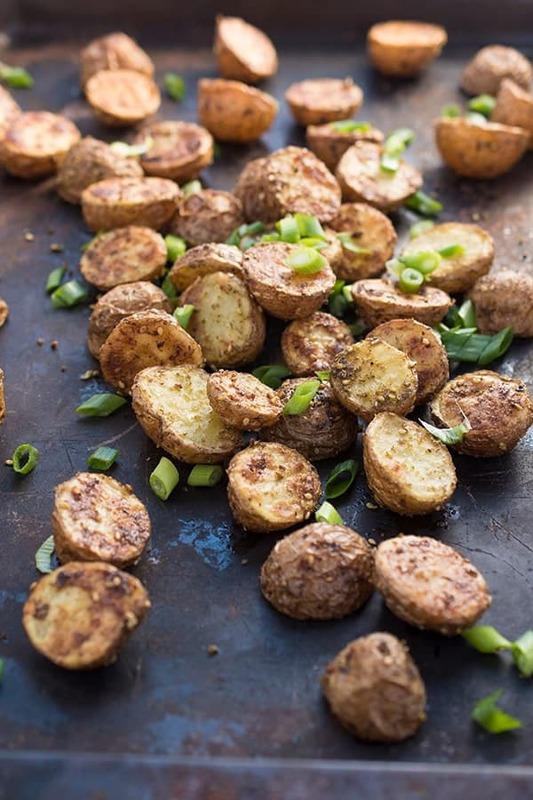 These creamy blushing belle potatoes from The Little Potato Company are tossed in extra virgin olive oil then sprinkled with za’atar, salt and pepper. If you haven’t tried za’atar yet, it’s my go-to Lebanese spice mixture filled with sumac, sesame seeds, oregano and other herbs. 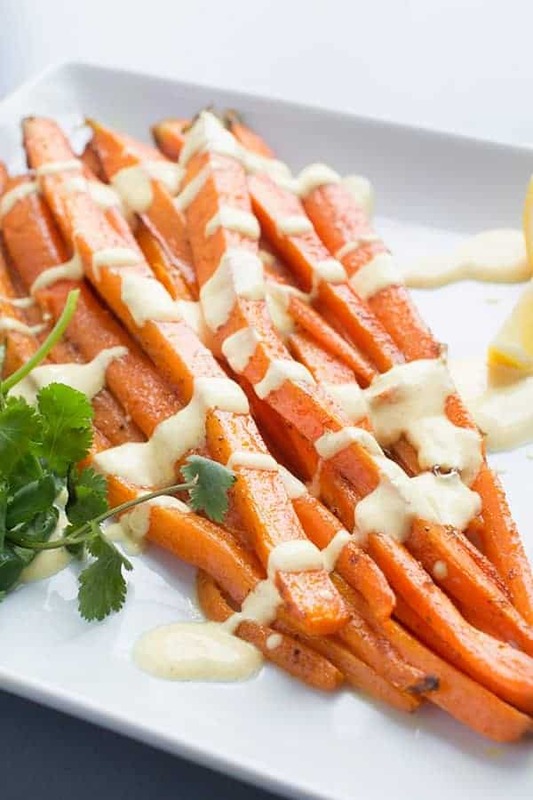 It is delicious on roasted vegetables, tossed into a Lebanese salad dressing, or as a marinade for chicken and pork. The best part? 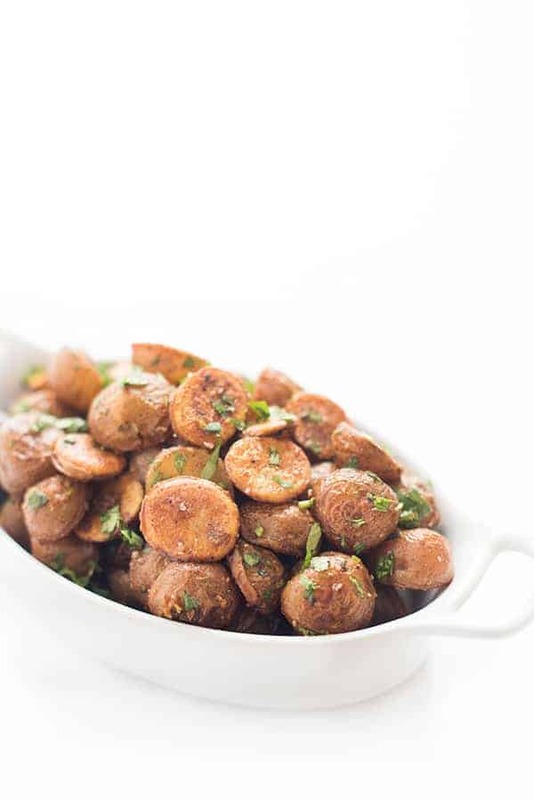 This vegetarian side dish is made with just five simple ingredients and is ready in 20 minutes. 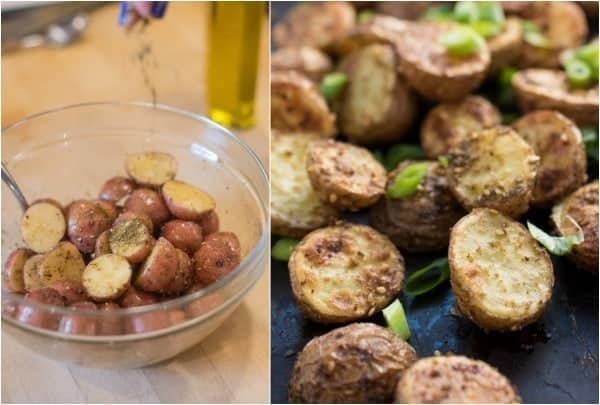 Potatoes are roasted with olive oil and za'atar in this easy and flavorful vegetarian side dish recipe. Pre-heat oven to 450 degrees and line a baking sheet with foil. 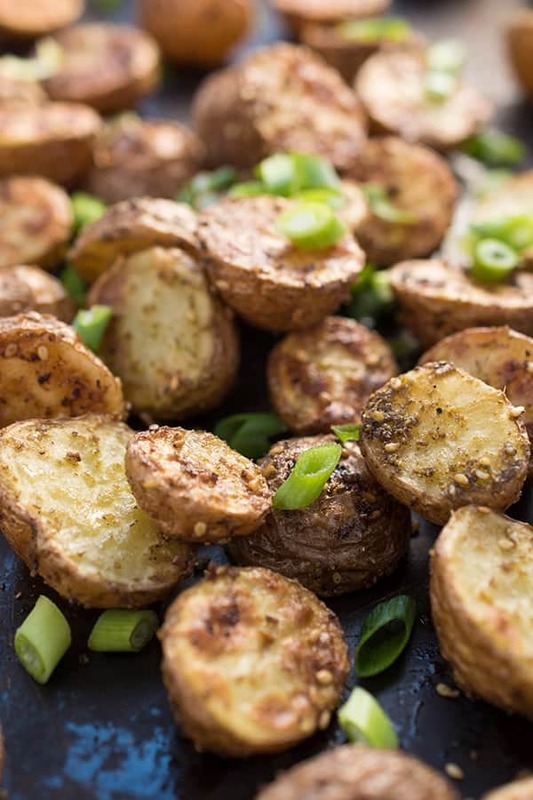 In a small bowl, toss potatoes with olive oil, za'atar, salt and pepper to coat. Spread on baking sheet in a single layer and roast until crispy, about 20 minutes. Sprinkle with scallions to serve if you wish. These look totally perfect! One of my favorite sides! Liz, I love za’atar and grew up eating my grandfather’s Syrian food. What are your favorite sources of za’atar spice online? They look so perfectly crisp! Can’t wait to try them. 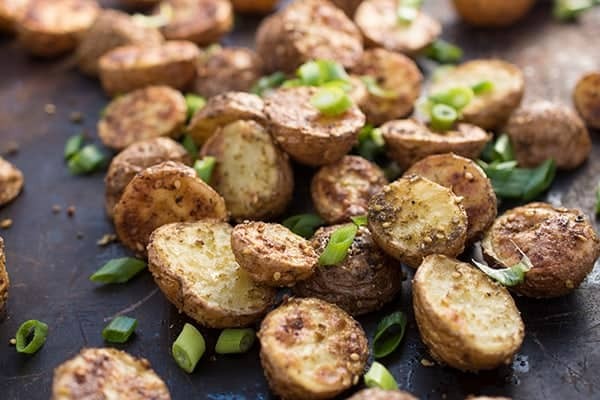 I could eat all these potatoes! Za’atar is my new favorite these days. I haven’t tried it on potatoes, but I will now. It’s so good on potatoes!!! I hope you love it! SO crispy! LOVE The Little Potato Company!